The story seems to be about the same all up and down the coast. Not many people fishing but the ones going out have been doing average or better. The guys up in tamarindo have had a good blue marlin bite the past few weeks. Most of the boats fishing are seeing at least one blue on a full day day trip. The guys on the 32′ express went 2 for 2 on blues and then two days later went 1 for 2. The 42′ in Flamingo went 2 for 4 on blue marlin and he told me they only fished 5 hours that day. 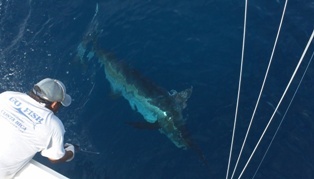 The 36′ Topaz in Flamingo also had a few good marlin days recently. 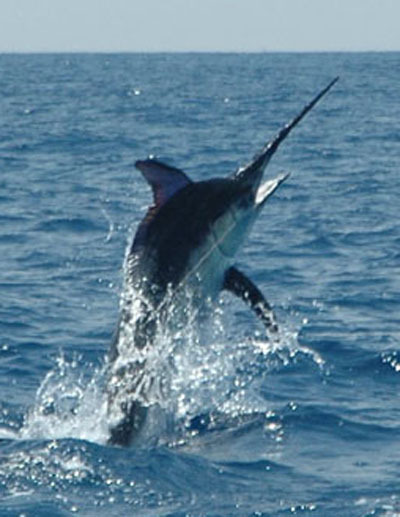 All the marlin are in the 250 to 300 pound range. 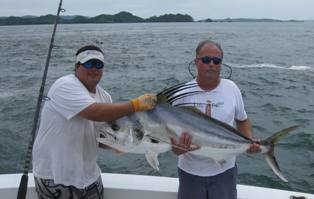 The boats going out of Los Suenos and Quepos have been doing average with 3 to 5 fish per day. You make get a couple sails and a couple tuna, you make get a couple sails and some mahi mahi, if your lucky you’ll get a chance at a black marlin or maybe a big tuna. The fishing around the 26 rock has been steady for wahoo, tuna mackerel, small yellowfin, jack, amberjack and more. The inshore fishing has been ok near jaco but better if you make the run to Negritas. The guys down in Golfito area report some good inshore action on snapper and corvina. The offshore bite has been decent for yellowfin tuna, there have been some sailfish around and they are starting to see more black marlin. 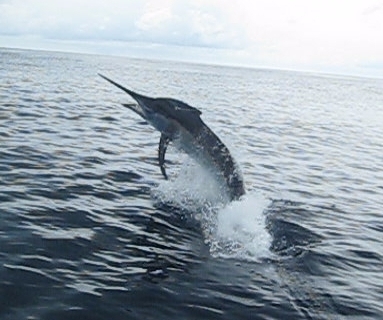 August can be a good black marlin month in that area. If you want to come to CR to tarpon fish then remember September and October are the best weather and fishing months along the northern Caribbean coast. I knows September is near because college and pro football practice has started and football season is right around the corner. The weather has been great the past few days and you would never know it by looking at websites or watching the weather forecast. Most of the weather forecast you find are for San Jose and San Jose is in the upper valley and is cooler and gets more daytime rains than we do at the beach. All the websites and forecast show rain, rain, rain and in reality it’s been sunny and nice for the past 3 days…with very light evening showers. Don’t trust everything you read on the Internet. Not many guys fishing the last few days out of the Los Suenos Marina near Jaco Beach. A couple guys that fished the rock and caught some wahoo, roosterfish, jack and mackerel. A group that went offshore caught a couple sails and a handful of 20 pound yellowfin. The fish above is a nice cubera caught on the 36′ express last week. The above pics are from a single angler that went out a couple days last week…he went on the 42′ and caught two black marlin and then the next day went out on the 36′ and caught two nice roosters and a cubera. Even in “low season” if you pick the right boats and give yourself some time onthe water you will usually catch some nice fish. About an hour after I made my last post on this blog the neighbors tree fell and took out all of the power and phones lines on our block. It was a long weekend with no power and no phone. The electric company was here all day yesterday working and at 9 pm last night they swapped out the transformer and luckily power returned about 11 pm. I plan on working all day from home and should get caught up. My buddies went to the 26 rock yesterday and report nice weather but slow fishing. They did catch a 30 pound roosterfish while trolling and they did raise a 200 plus pound black marlin. Everyone that is fishing says one day is good and the next day is slow…one day there are tuna and the next day sailfish. This is tipical off the fishing this time of year. Thank goodness they finally stopped the oil leak in the gulf. Let’s all hope that mother nature is stronger and more resiliant than we think and the gulf bounces back. Also let’s learn from this and make sure it never happens again…we don’t seem to be very good at that for some reason. The pic above is from a group that went out last week and fished 2 days…they caught 8 sailfish and 8 tuna in the two days offshore. The guys on the 36′ express took a single angler out for a full day of rooster fishing and they did ok. They went over to Negritas and caught 2 big roosters both over 50 pounds as well as a 35 plus pound cubera snapper. They also lost a couple big mystery fish that broke off. I apologize for the delay in emails and reports…my computer started acting up last week and has not worked at all the past couple days. It was an HP that I had for 3 years…luckily I backed up most of the important things because it appears that my laptop is no more. I borrowed someones laptop and hope to get caught up this weekend. The guys on the 42′ custom went 2 for 3 on black marlin today. One fish released was 300 pounds and the other was over 500 pounds. They were caught on 30 pound Penns. Not many boats going out of the Los Suenos Marina the past few days..the boats that have gone out have had mixed luck. The 28′ center console took a group out yesterday and went 2 for 4 on sailfish and caught a nice mahi mahi for dinner. The 60′ Convertible went offshore and did not see any billfish. They ended up stopping by some rocks on the way in and they caught some groupoer and snapper for the grill. The 32′ Express did some near shore fishing and caught a couple wahoo, a couple jack and a nice cubera. Not much action around the dock in Los Suenos marina. The guys on the 60 convertible took a group offshore the other day and caught 5 sailfish and a couple nice tuna. They fished about 30 miles out. A couple other guys did a half day inshore in Quepos on the 28′ center console and it was slow inshore. The caught a snapper and that was about it. There has been a couple boats going out the past few days from the Los Suenos marina. One of the private boats went out and caught 2 wahoo, 5 nice tuna and 2 sailfish. 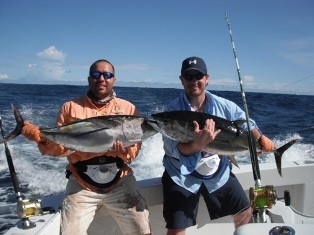 The guys on the 28′ went to the 26′ rock and caught 5 wahoo and 5 small yellowfin. 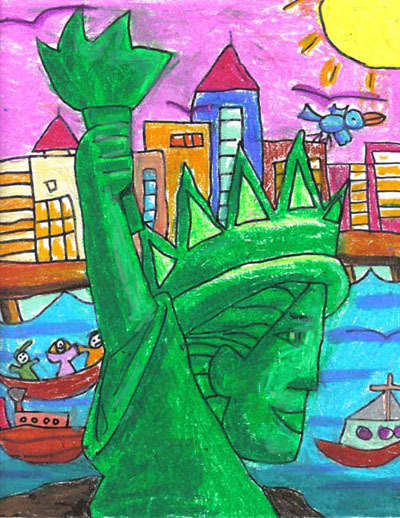 July 4, 2010 – Happy July 4th from Costa Rica! 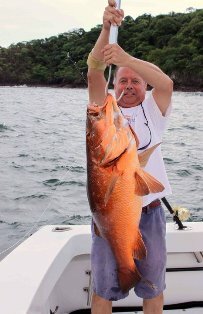 You are currently browsing the Costa Rica Fishing Reports blog archives for July, 2010.